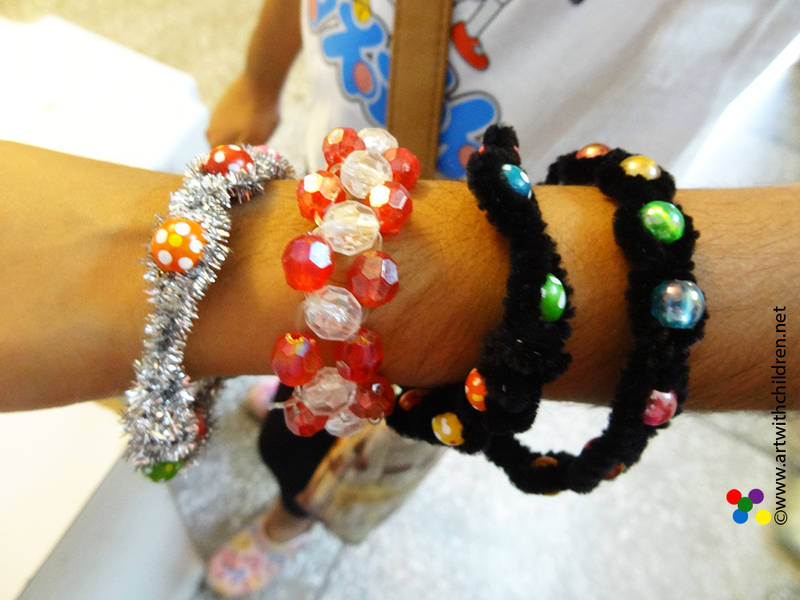 We had this lovely bracelet making class with 8 to 11 year old children. 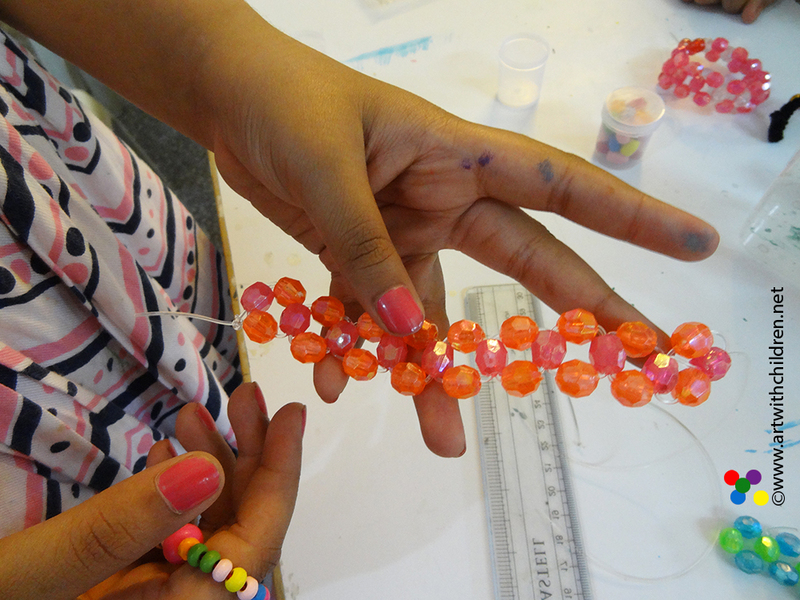 We used pipe cleaners with beads for the easier ones. 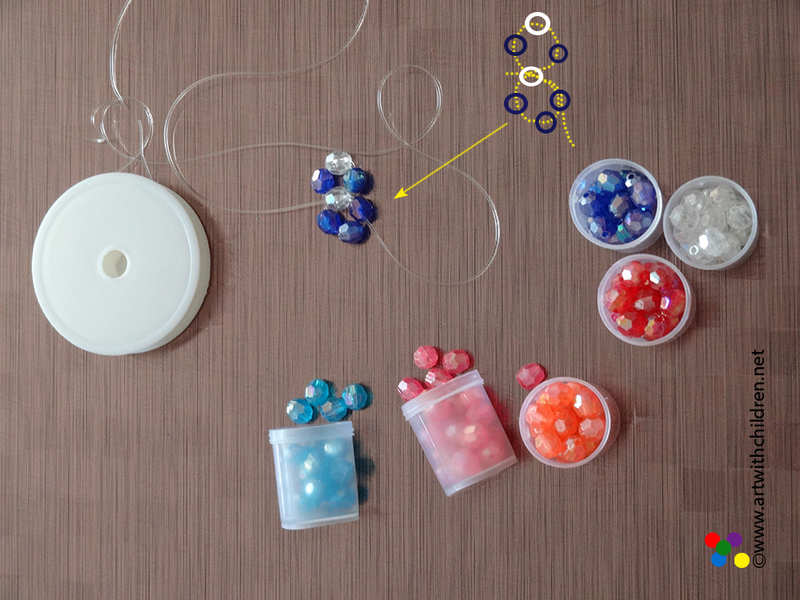 We used the elastic strings and beads for the stretchy ones, which can be on the not super easy level. 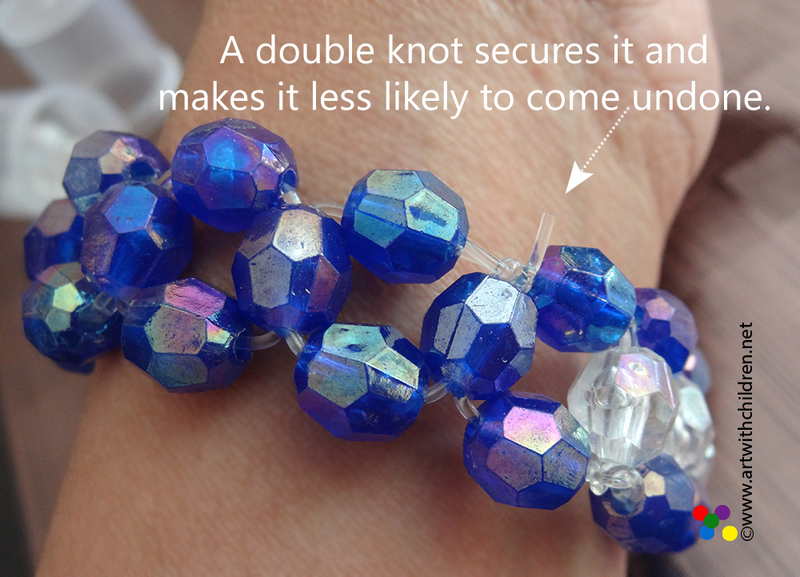 The elastic string ones took much longer to make and turned out really pretty. So they were made again as gifts especially for mother's day! It is about two years and I still have mine all stretchy and beautiful! 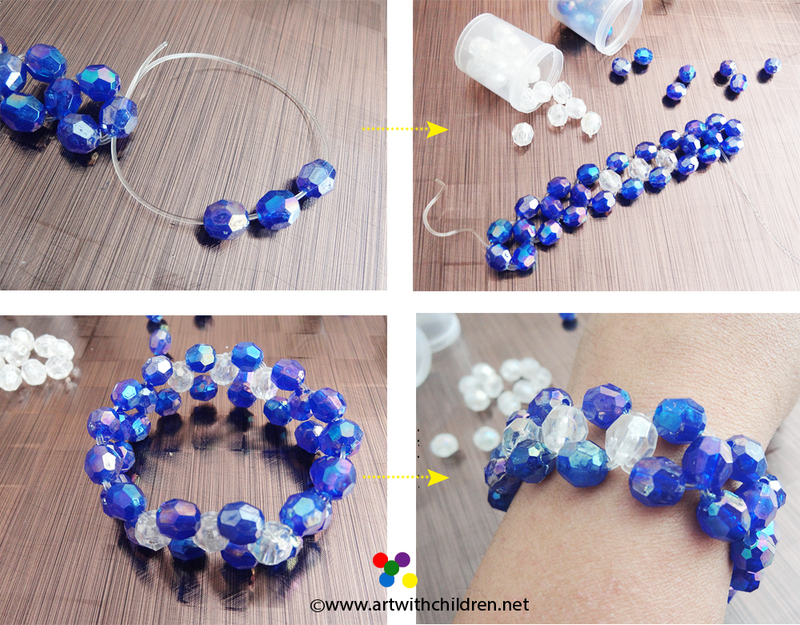 It was good to experiment and string beads in different ways to finally make them! It was great fun!